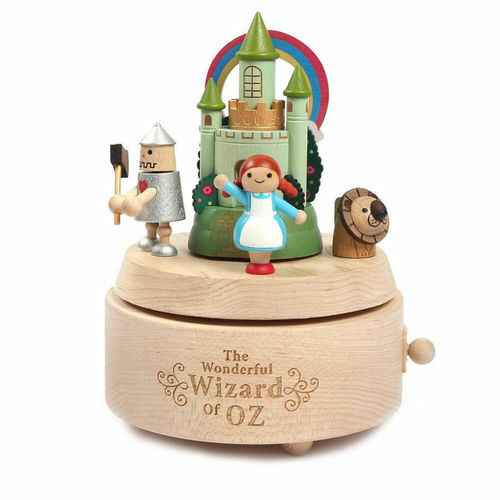 The Wizard of Oz Wooden Musical Box | Featuring Dorothy and all her friends! Featuring Dorothy and all her friends! This stunning Wizard of Oz Wooden Musical Box rotates to the tune of Voi Che Sapete! 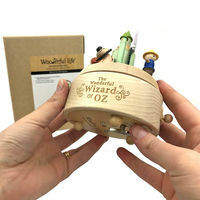 It's a beautiful gift idea for Wizard of Oz collectors, with a simple one touch start and stop design! Wind up the clockwork mechanism on the base, then turn it on using the easy access on/off switch on the side. Hand-crafted from beechwood, and carefully detailed with delicate moving parts, it deserves a special place in your home. Not suitable for children under 3 years of ages due to small parts. 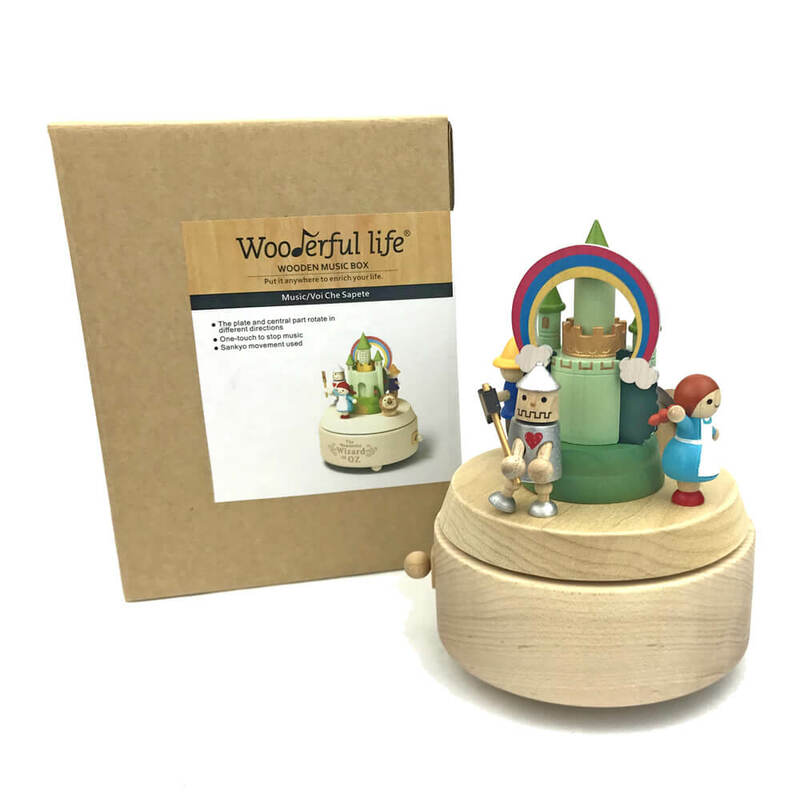 I bought this music box as a special present for my daughter because she turned 1. The music box itself is extremely well made and professional. There are no sharp edges. The cutting of the wood is extremely well done. The colors are vibrant and the way it works and moves is absolutely magical. The tune is extremely pleasant and not at all annoying (or common). I love how this has an on off switch so if you have wound it, you dont have to necessarily listen to the whole thing. The company of this Musical box should be proud. They make amazing pieces. Loved the opportunity to purchase a quality product not made of plastic this one is a gift but it's so nice I'll have to get one more for myself. Couldn't be happier with my purchase! I needed the box for a birthday gift, so time was short (considering the delivery time from Tasmania to Melbourne). Great communication, super fast delivery. These boxes have an amazing quality. Very happy with everything!